One thing we can all agree on is our love for pizza, especially from yours truly – Rascal House! We are proud to be a community partner on the Cleveland Metropolitan School District’s “Get 2 School. You Can Make It!” attendance campaign. Attendance is a key indicator to academic success, and missing ten or more days a year reduces students’ test scores, graduation rates and significantly impedes successful preparation for college and the workforce. 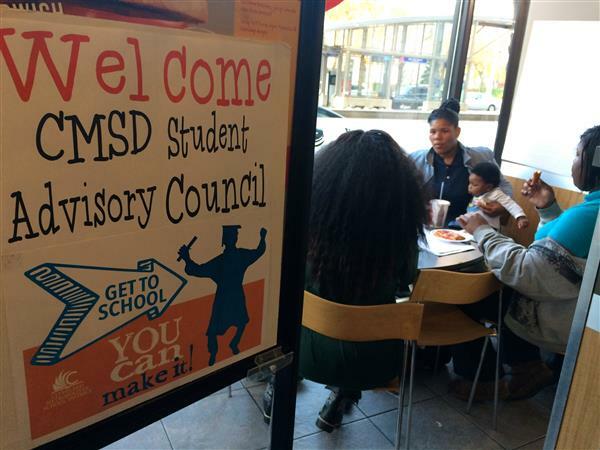 The goal of the campaign is to reduce the number of students missing more than ten days, which would increase CMSD’s graduation rates and test scores. Improving student attendance leads to fewer high school dropouts – a key objective of the WVIZ/PBS/ideastream® American Graduate program. On January 20th, the attendance campaign and ideastream will recognize winners of the American Graduate Champion Storytelling Contest. The American Graduate Champion Storytelling Contest is an initiative designed exclusively for CMSD high school students who would have dropped out due to personal challenge(s) were it not for a “Champion” who stepped in to support them. ideastream asked CMSD high school students to share their stories and identify their “Champion” through written form, an audio or video recording, or an original work of art. Contest winners will be recognized during a 90-minute televised and radio-broadcasted forum on January 20th. As part of the program, Rascal House Pizza is donating approximately $850 in gift certificates to participants in the program. Additionally, Rascal House will be hosting a pizza party for the Top 5 winners and a few guests – that’s a load of pizza, pies, wings, and salads! In addition to the American Graduate Storytelling Contest, Rascal House has supported the campaign by offering discounted pizza for weekly phone banks targeting families of students, and in November, we hosted approximately 30 students from CMSD’s district-wide Student Advisory Council for a night of pizza and brainstorming on incentives around improved attendance. We’ve also helped feed volunteers by providing discounted pizza at weekly phone banks targeting families of students. Rascal House is a different kind of pizza place! Having been anchored in the Cleveland community for nearly 36 years, we are proud to give back to our local schools and support such a critical endeavor – improving student attendance. So, here’s to more pizza, and better attendance in 2016! « The 2016 Republican National Convention Takes Cleveland!